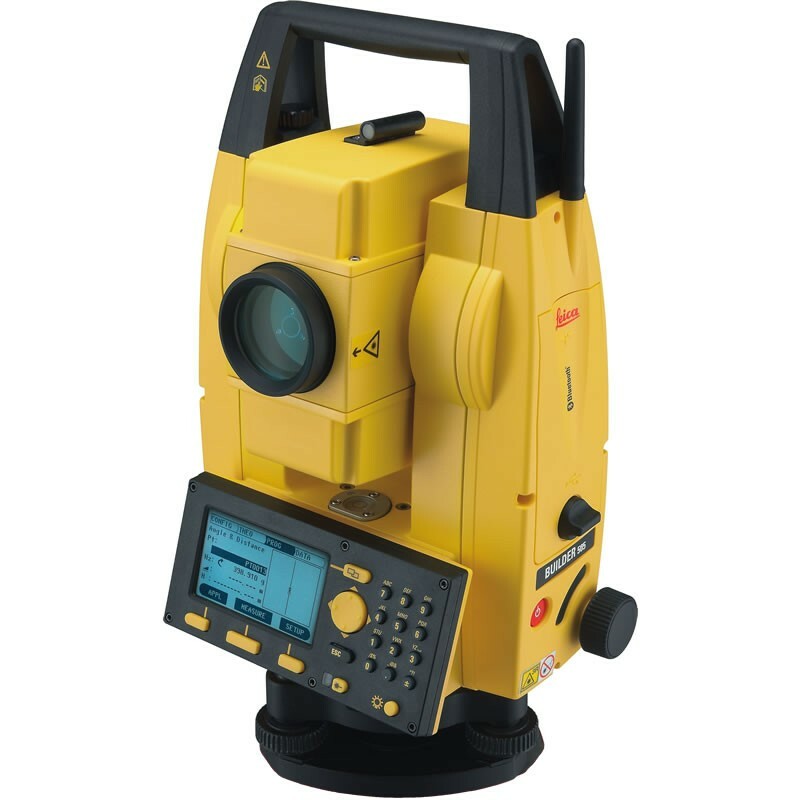 The Leica Builder 500 Total Station is the top of the range model, includes all features of all other models and is suitable for all construction projects and professions. The Builder 500 includes wireless communication for transferring data via Bluetooth and distance measurement of up to 250metres without the need for a reflector. It is extremely accurate and can provide results of up to 1.5mm at 100metres. It includes a full alphanumeric keyboard and laser distance measuring and tracking mode making traditional layout work more efficient. As with the Builder 400 is too comes with a large memory and able to keep 50,000 points. For easy and quick setup it uses a laser plummet and for accurate plumbing a dual axis compensator. Other features include audible notices, graphical aids for levelling, endless drives and pit stop alert. It also comes with an environmental IP55 rating and pin code system for theft protection. It is ideal for all types of operators such as landscapers, builders, carpenters and architects. Easily align excavations and structures along line values which have been transferred directly from plans. Volumes can also be calculated such as cut/fill, mass haul and formation cutting, saving time and avoiding guess work. Setting out profile boards is done precisely and there is no need for strings, tapes or plumbing. Determine parallel walls, drainage grades and clearances immediately. With Leica Laser Distance Measurement Technology measuring in to edges and corners is made simple and accurate with superb signal strength. Transfer data without the need for cables with USB features or Bluetooth technology. The Leica Builder 500 Total Station uses a very clear and easy to read graphic user interface and can support 3 languages, at any one time, which is unique to the class. It also comes with an array of PowerSite software which is easy to learn and use and features professional programs specially created for every job.